Onyema Offoedu-Okeke is a recognized talent whose work has been exhibited in Africa, Europe, the Americas, Asia and found among the private collection of a number of noteworthy individual around the world. As you navigate this visual anthology, you are bound to recognize the sheer expressive versatility as well as tonal poignancy that underline this artist’s practice as he concretizes his astute observations and mindscapes through an assiduous wedding of color, rhythm, pattern and poetry. Through the edginess of Onyema’s sharp and sometimes rebellious eyes, are arresting imagistic reminders of the manifold ways in which corruption, dictatorship, and sundry forms of misrule, have left their awful imprints on people in Africa and other parts of the world. His canvas seeks always to break out beyond any confines in order to create or sustain connections – an artist who wants us to realize that the grim harvest of malaise and maladies in the world are as bad for global instability as they are for the citizens who immediately endure them. 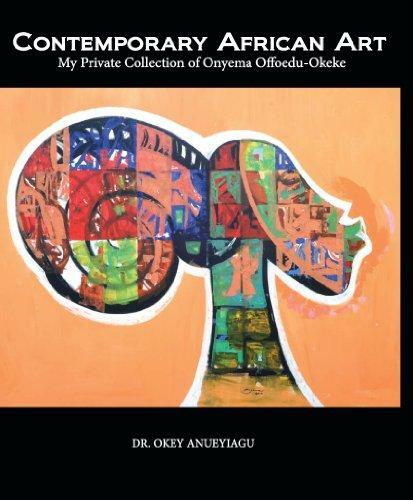 Dr. Anueyiagu invites you to experience his gallery of this remarkable artist’s work. You will see that his paintings are shaped by, and reflect, the metamorphic dynamism to be encountered in Africa’s social, cultural and political experiences. The contributing editorial content of this book offers much to the interested reader to better understand and appreciate the rich culture of this specific genre of art. Next Recently Published Article By Chairman of Brown Brommel Dr. Okey Anueyiagu in a London Journal.